Are you feeling like you’re lagging behind the competition? As a small business owner, it’s all too easy to feel this way. After all, you aren’t a big company that can afford to hire an army of digital marketers to keep up with all the latest digital marketing tips. But, that doesn’t mean you can’t become a one man/one woman army. Your weapons are your knowledge. After you read this article, you’ll be able to pick up your weapons and beat your competitors! There are many different weapons (digital marketing tips) that can carry you to success. But most of your competitors don’t know how to wield them. This article will focus on the most popular digital marketing tips. They’re popular because they work. But only if you know why, how, and when to use them. But first, let’s address a rookie way of thinking that many small business owners have. This is a mistake that many rookie business owners make – trying to do everything at once with little prior experience. You set up 10 social media accounts. You set up a PPC campaign. You set up a rigorous blogging schedule about a topic that you haven’t properly researched into yet. And the worst thing is that you’ve never even used more than half of those social media platforms in the past! If so, then stop. The worst mistake a new business owner can make is trying to manage too many new social media accounts all at once. We’ll get to that mistake in the next section. But for now, the lesson we want you to understand is: less is more. When you’re just starting out, focus and consistency should be your primary goals. 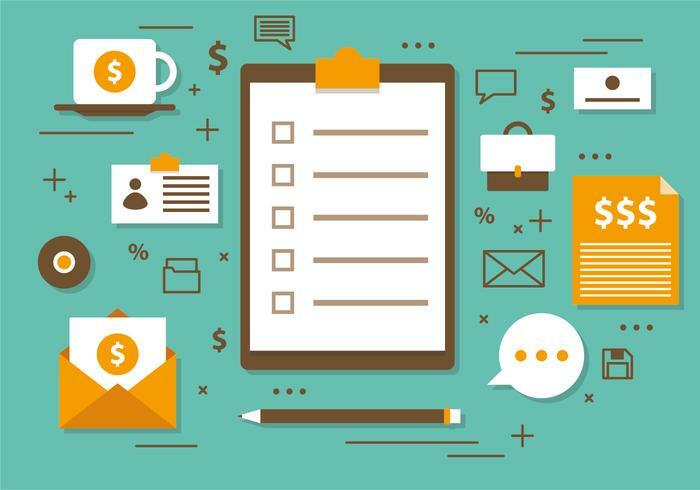 Focus: if you try to launch several campaigns at once, you’ll not only be totally overwhelmed, but you’ll also have difficulty determining which marketing campaigns were successful. Consistency: this will be the key to getting your business off the ground. Being consistent on social media will build you a loyal following. Being consistent in your blogging will build you a loyal customer base and turn new, cold prospects into new buyers. Being consistent in SEO means that you’ll save money in the long run instead of relying too much on paid advertising. Too many small business owners try to do everything at once and fall flat on their faces. But you don’t have to be one of them. By following these digital marketing tips, you’ll already be ahead of the game. Most small business owners know that they need to be on social media. After all, social media isn’t going anywhere. In 2017, 81% of Americans had a social media profile! But as we touched on in the last section, too many rookies take that message too much to heart and try to go from being invisible to being everywhere at once. For most brands, this is a recipe for disaster. As a new small business owner, your aim should be to find your place on social media. This means that in the beginning you should focus only on, at the most, a few social media platforms that you’re already feeling comfortable with. Now, after marketing on these platforms for a while, note how many interactions you’re getting. For example, if Instagram isn’t giving you any engagement, then move on and focus on the platform that does! The aim here is to find the social media platforms that give you the highest level of interactions (likes, shares and comments). And the lesson here is: don’t bother wasting your time on a platform if your audience simply isn’t there! Find out where most of your audience is and post on those platforms consistently to build up a loyal social media following. Influencer marketing is relatively new in the realm of digital marketing tips. In fact, most of your competition has probably never heard of it! And for the ones who have, they’re probably going about it the wrong way. But influencer marketing can be a very powerful tool when wielded correctly. So what exactly is influencer marketing? Simply put, it means that instead of marketing to your target audience directly, you pay or inspire influential people in your niche to get the word out about you. When it comes to social media users, influencers are basically the strongest referrals that your business can get. For example, a survey by Collective Bias showed that 30% of consumers are more likely to buy a product recommended by a non-celebrity blogger. Influencer marketing is especially effective on millennials, since 70% of consumer millennials are influenced by the recommendations of their peers in making buying decisions. So, you should always keep a look out for potential future influencers in your niche. You’ll want to engage with them so that you can build your brand visibility. So what do other small business owners get wrong with influencer marketing, you ask? Many small business owners still think that doing lots of guest blogging (a form of influencer marketing) and getting lots of backlinks will boost SEO and drive traffic. This was true in the past, but not anymore. Small business owners these days have to tread carefully with guest blogging and getting backlinks because Google has cracked down on this practice several times in the past. Google penalizes websites that abuse this practice, and that’s not what you want for your brand new website! Building credibility by leaning on the shoulders of industry giants. An email list is probably one of the most valuable and responsive assets you can have. Valuable – CRM software company Hatchbuck found that customers who purchase products through email spend 138% more! Responsive – according to QuickSprout, email subscribers are 3x more likely to share content on social media! And unlike your social media followers and fans, you own your email marketing list. But believe it or not, many of your competitors aren’t even thinking about having an email list. Instead they make the mistake of thinking that they can get away with just building a social media following. Of course having a strong social media following is very important! But when it comes to turning cold prospects into paying customers, email marketing is one of the best ways to do it. The 80-20 rule means that 80% of your success will come from 20% of your efforts. This rule applies to just about everything, including your content. Your content can be created in a variety of different mediums. For example: videos, webinars, blog posts, infographics, etc. So how does the 80-20 rule apply? Quite simply, 80% of your content should communicate VALUE, and 20% of it should be focused on promotions. Valuable content means content that’s unique, fresh, timely, relevant, and solves real problems for your target audience. Your success will come from 20% of your efforts, but that other 80% is necessary to drive it! Too many small business owners have it the other way around. 80% of their blog content is overly sales-y, and only 20% of it contains useful or valuable information! If you aren’t convinced about the value of creating useful content, then take a moment to reflect on the fact that businesses with blogs receive 67% more leads than businesses without blogs. Adds a human element to your brand, thus building trust and loyalty with your customers. Cost effective and simple to setup. Every small business owner who ventures into the world of digital marketing tips has heard about SEO. But still, many of them shy away from it because they think it’s complicated and too time consuming. While both of these things may be true, SEO is still the best way to drive free traffic to your website. Even something as simple as your business name can influence your ranking in the search engine. According to an SEO company Local SEO Guide, businesses with a strong keyword in their business name rank 1.5 spots higher than businesses without a keyword in their business name. Instead of focusing on a long term SEO strategy, too many small businesses blow their digital marketing budget on PPC ads when starting out. We’ll talk more about that in the next section. So what are the different areas that SEO covers? There are many other sub categories of these main areas. For example, keyword usage is a sub category of page optimization. There’s a lot to learn. But learning and implementing SEO will give your website better visibility in the search engines. And to get an idea of how important SEO is for website visibility, you can look at past Google updates. One very important Google update made websites that aren’t responsive on various digital devices not even appear in the search results at all! Now thankfully, you don’t have to learn SEO all on your own because you know an SEO agency (your friends at LYFE Marketing). But you should still learn the basics of SEO and what the expectations of an SEO specialist will be. Hiring an SEO specialist is well worth it. The SEO specialist will help you perform an SEO audit, which includes analyzing how users are interacting with your website and your social media platforms. And finally, don’t expect immediate traffic from doing SEO. It can happen, but it’s pretty rare. Instead, look to paid advertising for quick traffic. As we touched on in the previous section, many small business owners spend too much of their working capital on PPC. They have the right idea – spend money on paid advertising in the beginning to get some traffic coming in. But in the absence of a sales funnel and a long term SEO strategy, they begin to rely on PPC to drive most of their sales. This is not a sustainable digital marketing method on its own. But all they end up doing is getting more cold prospects and no sales. And in PPC advertising where you pay for each click, this can get expensive if you aren’t making conversions from your clicks. More traffic is a great thing, but without a marketing funnel, you won’t get optimal results. Create a relevant and compelling offer. For example, your newsletter or a free eBook. Create targeted PPC ads to get people to your site. Remember one of the most important digital marketing tips – traffic isn’t everything. An amateur mistake is to expect to turn cold prospects into immediate buyers. Bring them in first, and then convert them into buyers later. Enhancing user experience (UX) will be the glue that holds each of your strategies together. The following are common and popular ways to do this. There are also plenty more metrics and digital marketing tips for measuring user experience. The content on your site. The communication channels you use. An intuitive user interface (UI). Chatbots to assist in communication. A simple tone for your content. In order to make the optimal choices for these different areas, you’ll need to learn more about your target audience. Remember to inform and inspire your audience with your content. This will give them a lasting impression of your company and make engagement easier. You’ll also need a customer management strategy to help you connect better with customers. It will take you through query and complaint management. It will also collect customer feedback and make them feel like they’re a part of your brand’s community. Another thing to keep in mind in 2018 is the effectiveness of video marketing. It continues to trend upward in popularity with the rise of live streaming. Popular platforms have already embraced live streaming. Consider Facebook Live, Instagram Stories, and Snapchat Stories to engage with your audience. As you can see, the best way you can get ahead of your competition is to use the tried and true ways of digital marketing properly. Your competitors will keep on making the same mistakes, while you’ll be sidestepping landmines and growing your business with these 8 digital marketing tips. Good luck in your new business venture, Mark! If you need any help along the way, we’re always here. It’s our passion to help small businesses grow. Really interesting article! This digital marketing tips will be useful for me to prepare digital marketing strategy of my business. Thank you for sharing this information. Excellent article! These tips are pretty good, and you even organized it in different sections, loved it. I think that many beginners will find this pretty useful, and more advanced folks can use it as a refresher. I came to your site and have analyzed your post. There are excellent details you posted here. I enjoyed reading your blog, and it is both instructional and enjoyable. Thanks for sharing this interesting post. Digital marketing has opened up a new era in the marketplace. Digital marketing helps us to promote our business worldwide. We can directly advertise our brand. Using the electronic industry, your advertisement will physically present for 24 hours a day and 7 days a week and 365 days a year. This article is very informative. I’ve been running a clothing business through my website. These tips give me more confidence about selling. Thanks for sharing.